What are you hoping to get this Valentine’s Day? Home-cooked dinner? Flowers? Real estate? An invention that will enable you to enjoy a beloved food again? Personally, I’m expecting that first item, but can’t help but be impressed by the last one. The Indy Star reports that when Sarah Rubin was diagnosed with a dairy allergy forcing her to throw out all her beloved chocolate, her non-foodie husband set out to create a substitute. The result is a chocolate business called SoChatti, which now boasts “real chocolate for everyone” that is all natural, with no additives, dairy-free, soy-free, gluten-free, nut-free, vegan, kosher, and halal. As the Indy Star describes, SoChatti is “a full-blown Indianapolis business turning out vegan, dairy-free chocolate that would impress the most discerning chocolate lovers.” Seeing his wife’s despair over the lack of chocolate in her life, Matt Rubin, who worked in technology commercialization and didn’t even like chocolate that much, started experimenting with cacao. The beans are now roasted and combined with cane sugar and cocoa butter to closely “amplify” the beans’ flavors. Recipes on the SoChatti site include No-Bake Peanut Butter Cup Pie and Simple Dark Chocolate Mousse with Raspberries. The gift of actual chocolate? It’s really hard to top a present like that. 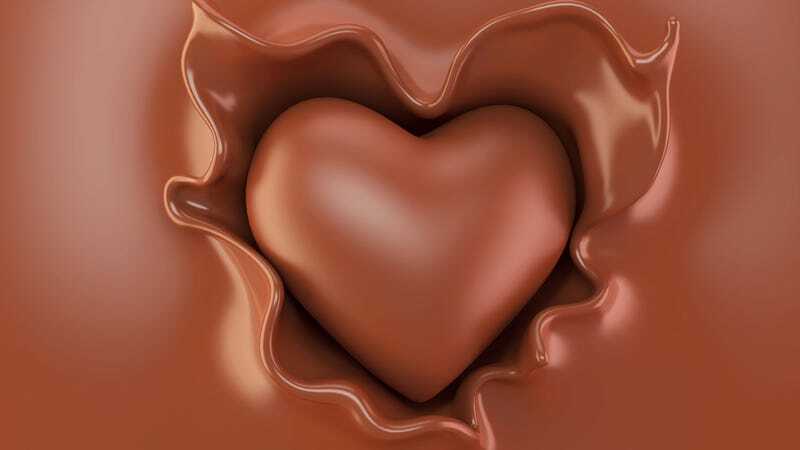 As Matt Rubin puts it, “It was the act of love… that never needed a thank you.” Surrounded as we are by Valentine’s marketing ploys this time of year, it’s nice to see a food-related V-Day story that has both chocolate and actual romance. Read more about the Rubins’ love story at indystar.com.